According to Celtic astrology the Oak was a revered tree to the Druids. It symbolized wisdom and truth and doors made of Oak were said to keep out evil spirits. Wearing the leaves from the oak tree was a symbol of status among the Celtics. Celtic Oak tree sign people have a lot of self confidence, are extremely wise and can see things with great transparency. They are natural born leaders who have the ability to be very optimistic, never giving up too easily. They are strong-willed, passionate, responsible, and joyful. In a crisis they remain calm and composed. They have the ability to stay true to themselves against opposition. This is because they have a direct link to the ancient magic of the Druids. By the latter portion of their life they will be fully aware of their gift of self determination and motivation and will fully understand the power behind it. The Oak Ogham work is Duir. Celtic astrology Oak people have a helpful and nurturing spirit. This helpful nature might lead them to pursue a career in teaching since they love to pass knowledge on to others. They need structure and a feeling of control in their lives and will often go to extremes for the feeling of control. They are very protective people especially when it comes to their family and friends. They often become the defenders of the underdog or for those who don’t have a voice in society. They are both nurturing and generous which will be great for those that pursue a career in counseling. They may even want to pursue a career as a lawyer as they can be extremely helpful. Oak people radiate an aura of confidence and are naturally optimistic. They have a knowing that everything will turn out for the best. Oak people were born with a very strong intuition and can see things most people cannot. They have an irresistible personality and magnetically attract others with their optimism and charisma. Because of their strong intuition many will attract wealth easily and can be great financial investors or business people. Oak tree zodiac people can be slaves to their mood swings. If faced with any criticism they can become overly sensitive and self pitying and their large self esteem is easily hurt. They are prone to be perfectionists and as a result they hate not being first rate. They strive to avoid mediocrity. This can make them more self absorbed than other Celtic zodiac signs. They like the feeling of security. When their security is threatened it can make them very defensive. Because of their fierce need for security they will often have a keen sense of business and if they can focus their attention and control their emotions they can be extremely successful in business ventures. The animal of Oak tree people is the Otter which has strong ties to their family. The ruling God is Dagda who is known as the father of all Gods in Celtic mythology. They are compatible with the Ash and Reed tree, and also pair well with the Ivy. 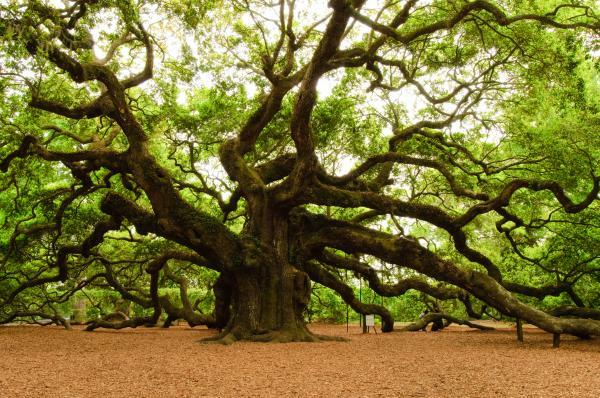 In western astrology the oak tree would correspond with the sign of Gemini and Cancer.